The information related to the NEA® Cash Rewards Card and the NEA RateSmart® Card has been collected by CompareCards and has not been reviewed or provided by the issuer of this card prior to publication. If you’re a public school employee, there are various unions and trade associations you can join to take advantage of exclusive benefits, including special loan financing, insurance and discounts. The National Education Association (NEA) is one option worth considering — according to the organization, it strives to make its members’ lives better through “carefully vetted, best-in-class programs and services” that include merchandise and travel discounts, insurance plans, and retirement planning. The NEA also offers two $0 annual fee credit cards, backed by Bank of America, that members can apply for — the rewards-focused NEA® Cash Rewards Card and the low interest NEA RateSmart® Card. Depending on your needs, you may be better off with one card over the other. Note: NEA membership is required to open a NEA credit card. See “membership requirements” below for qualifications. We’ll review the benefits and potential setbacks of the two cards, and provide alternatives so you can decide what your best option is. Active professional/certified: Individuals employed in public education, in a certified position in a public school district or institution of higher learning, or whose job is primarily education. Active education support professional (ESP)/classified: Individuals employed in public education in a support position in a public school district or institution of higher learning or whose job is primarily in education. Retired: Individuals no longer employed in public education, with eligibility to receive a pension from an educational employment institution. Pre-retired subscription: Individuals who are currently working and are an NEA Active Professional or ESP may join as a pre-retired member ahead of their retirement. Student membership: An aspiring teacher membership for individuals enrolled in a post secondary program that prepares for employment in a position eligible for active (teacher) membership in the NEA. For more detail, read how to join NEA. Intro 0% APR periods. Both cards offer 0% intro APR for the first 12 statement closing dates following the opening of your account and 0% intro APR for the first 12 statement closing dates following the opening of your account for transactions made within 60 days of opening your account. After, a 16.24% - 26.24% Variable APR applies for the NEA® Cash Rewards Card and a 12.24% - 22.24% Variable APR for the NEA RateSmart® Card. During these intro periods, you can finance new purchases for a year or transfer debt from a non-Bank of America card. Flexible rewards for the NEA® Cash Rewards Card. The NEA® Cash Rewards Card offers a rewards program where each month cardholders can choose one of six spending categories in which to earn 3% cash back: gas, online shopping, dining, travel, drug stores or home improvement and furnishings. Low APR for NEA RateSmart® Card. If you’re someone who may carry a balance month-to-month, it’s a generally a good idea to look for a card with a low interest rate. The NEA RateSmart® Card offers a 12.24% - 22.24% Variable APR, a lower APR range than the NEA® Cash Rewards Card’s 16.24% - 26.24% Variable APR. No rewards for NEA RateSmart® Card. This card lacks a rewards program, so if you’re looking for an NEA card with rewards, consider the NEA® Cash Rewards Card. 3% foreign transaction fee. When you travel abroad with the NEA® Cash Rewards Card or the NEA RateSmart® Card, you’ll incur a 3% foreign transaction fee. While this is a typical fee found on many cards, there are cards with no foreign transaction fees that can save you money on purchases outside the U.S. Rewards: The NEA® Cash Rewards Card is the only NEA card that offers rewards at a rate of 3% cash back in your choice category, 2% cash back at grocery stores and wholesale clubs for the first $2,500 in combined choice category/grocery store/wholesale club quarterly purchases & 1% cash back on every purchase. You can select a new 3% cashback category once each month from one of six choices: gas, online shopping, dining, travel, drug stores, or home improvement and furnishings. When you open a card, the 3% cashback category is automatically set to gas, but you can change it. New cardmember offer: $150 cash rewards bonus after you spend at least $500 on purchases in the first 90 days of account opening. 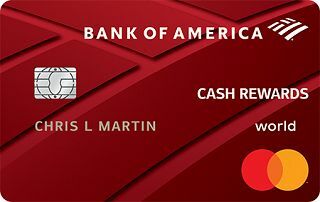 The Bank of America® Cash Rewards credit card offers the same cashback program as the NEA® Cash Rewards Card: 3% cash back in your choice category, 2% cash back at grocery stores and wholesale clubs for the first $2,500 in combined choice category/grocery store/wholesale club quarterly purchases & 1% cash back on every purchase. However, this card has a leg up on the NEA® Cash Rewards Card by offering Bank of America Preferred Rewards members the opportunity to receive a 25% to 75% rewards bonus on every purchase. Plus, cardholders can benefit from auto rental collision damage waiver and travel accident insurance. 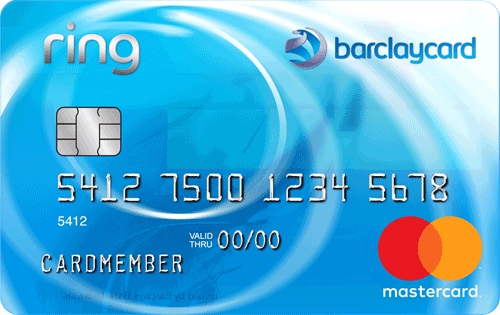 The Barclaycard Ring® Mastercard® has the lowest APR for a card from a major issuer at 14.24% Variable. And, there is no APR range, so you know upfront the exact APR you’ll receive if approved for the card. Similar to the NEA RateSmart® Card, this card has no rewards, but it does offer a 0% intro APR for 15 months on balance transfers made within 45 days of account opening. After that, a variable 14.24% APR will apply. NEA may offer two credit cards, the NEA® Cash Rewards Card and the NEA RateSmart® Card, but only one is really worthwhile. The NEA RateSmart® Card is more noteworthy, due to its low 12.24% - 22.24% Variable APR. Coupled with the intro 0% intro APR for the first 12 statement closing dates following the opening of your account (after, 12.24% - 22.24% Variable APR), the NEA RateSmart® Card is a solid choice for people who tend to roll over a balance every month. The NEA® Cash Rewards Card doesn’t stand out as much since it lacks several perks that the similar Bank of America® Cash Rewards credit card offers. If you want to benefit from auto rental and travel benefits, plus the possibility of a 25%-75% rewards bonus, the Bank of America® Cash Rewards credit card is the better choice.